I had a very strange evening the other night. It was around dinner time, Mum was in the shower, Dad was reading and my tummy was beginning to grumble when all hell broke loose. Dad had just got up and was walking towards the food bag when he suddenly started yelling at Mum. She yelled something back, came rushing out of the bathroom with tangled, wet hair, grabbed me and The Cat and shoved us both into the cupboard. It’s quite big in there but there’s not much to do. The Cat and I played a little but she soon got bored and jumped up onto a shelf to sharpen her claws on Dad’s trousers. Then she went to sleep. All that was left for me to do was sniff around a bit for rats (there were none) and lizards (none of those either) and then also sleep. After a while Mum came in with our dinner and some water. She said something about snakes, being sorry and that it was for our own good before closing the door on us again. OK, the food was good – there were even bones – but how can being shut up in the cupboard with a sleeping cat be ‘good for me’? Sometimes I really don’t understand people. This entry was posted in Me! Me! Me! 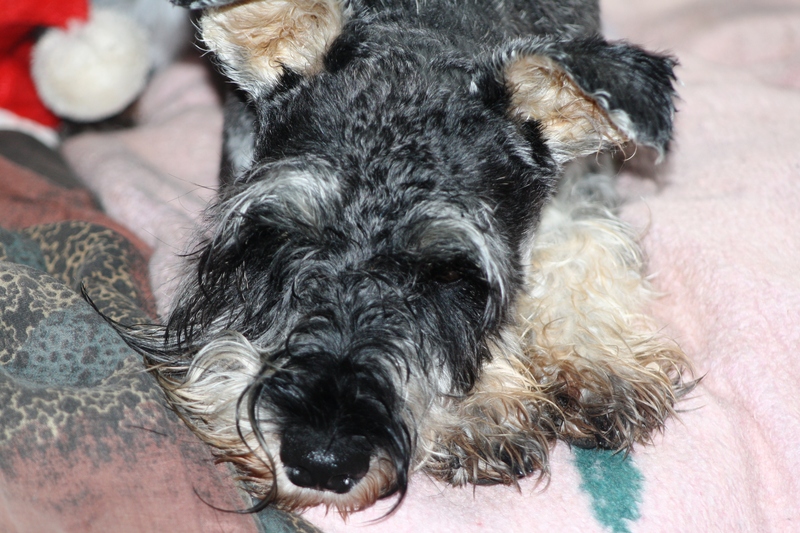 and tagged Africa, Dog, Miniature Schnauzer, Python, Schnauzer, Schnauzers. Bookmark the permalink. What?! Snakes?! The cupboard?! Oh my….you’ll have to update us asap! Tikkie van derMerwe I should think that once you got out of that cupboard and sniffed around and got the pong of that python all became clear as to why you had been safely put there! Shew! And what a Pong it was!! Pythons are not your friend (if you’re a small dog like me).